Did you know your roof vent pipes are in danger? 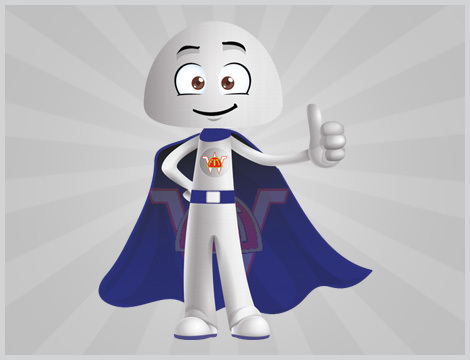 Plumbing, Heating and Raydon Vents Have No Fear Fit The Wonder Cap Is Here! Click here to learn more about important changes in Energy standards and how it affects you. The Department of Energy has imposed new regional efficiency standards for varying air conditioning and heating equipment effective May 1, 2013. Is Time on Your Side? Are your pipes protected? He has a problem. He has a HOLE at the Top. Debris gets down the hole. He feels sick, bloated, and clogged. You end up with a HUGE bill. SAVE hundreds of dollars and make Pipey feel much better for $8.95! Fit can solve your problems. Fit comes in three sizes, 1.5", 2" and 3" and can solve your clogged vent problems. Many homes have at least three 1.5 to 3-inch PVC plumbing, furnace, radon, or other PVC vent pipes on their rooftops that are exposed to the elements. 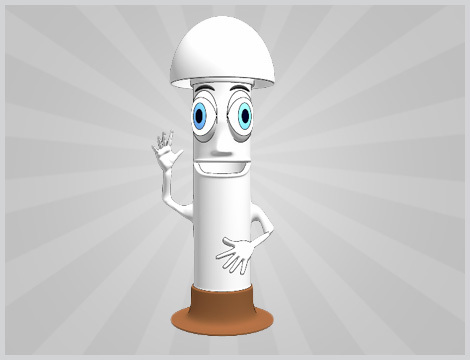 Pipey is one of those PVC vent pipes. 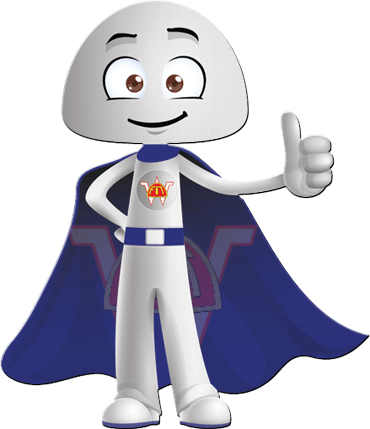 His job is to safely release harmful gases and exhaust from your furnace, sewer, and radon lines. When He's doing his job, you're happy and healthy. Squirrels, birds, and other small animals like him - a lot. They bring nesting materials, nuts, and other debris and drop it down into your sewer or furnace system through his open top. Even if the animals leave him alone, the wind and rain don't; any storm that comes his way drops rain, leaves, sticks, and all kinds of other debris down into your home. 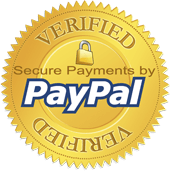 Perfect for Heating, Plumbing, and Radon vents! You probably won't notice him until you have a problem. 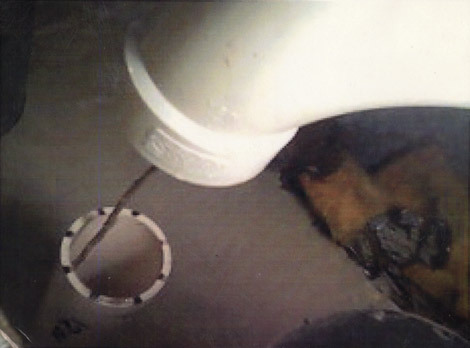 Once debris gets down into your home's pipes and you have to call a Plumber or HVAC Contractor, it's too late - He feels sick, bloated, clogged, and you end up with a HUGE bill! Metal pipes have had a piping solution for years with a traditional galvanized or other metal cap. 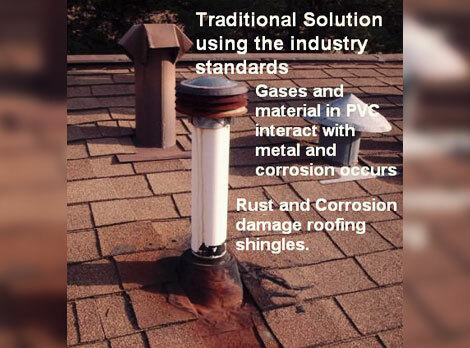 But when these caps are used on PVC pipes, such as Pipey, the metals interact with the PVC plastic and exhaust gases to produce ugly rust stains that can seep down and damage your roof covering. While no one would argue the high quality and durability of PVC pipes, this popular home design omitted a simple solution that saves homeowners hundreds of dollars. 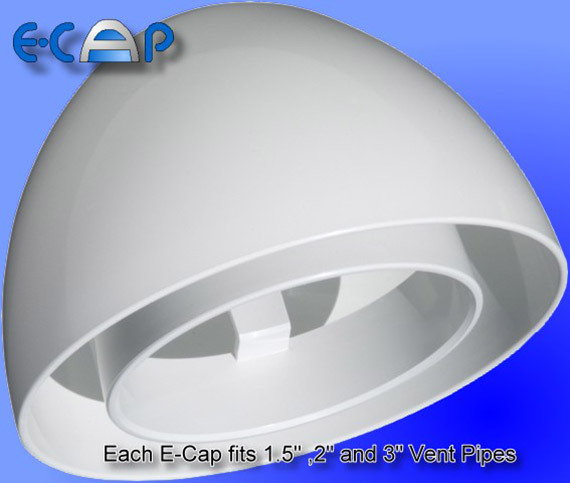 The ECap321 is a small vent cap designed for the exposed openings of PVC vent pipes on your roof. The E-Cap is made from GE's Geloy Resin®, a material noted for high-weatherability and exceptional durability. Designed by a former military housing contractor for military housing, the E-CAP is available to homeowners fE-Cap BlueBGor just $8.95. The E-Cap's design protects PVC vent pipes for your furnace, sewer, and radon systems from external elements while allowing exhaust gases to escape. In fact, the E-Cap actually provides better airflow than an Unprotected conventional PVC pipe. The E-Cap installs in just a few minutes with a small application of PVC glue. The E-Cap is the only solution you need for covering your exposed PVC vent pipes and gives you a nice exterior look on your rooftop as well as a great addition to your home improvement projects. © 2015. Save Pipey. 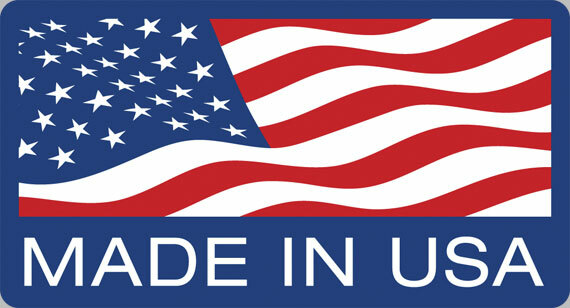 JAF Industries. All Rights Reserved. Roof Exhaust Vent Cap, Roof Vent Pipe Cap, Plumbing Vent Pipe Cover, Rain Caps for Vent Pipes, Stink Pipe Cover, and much more.